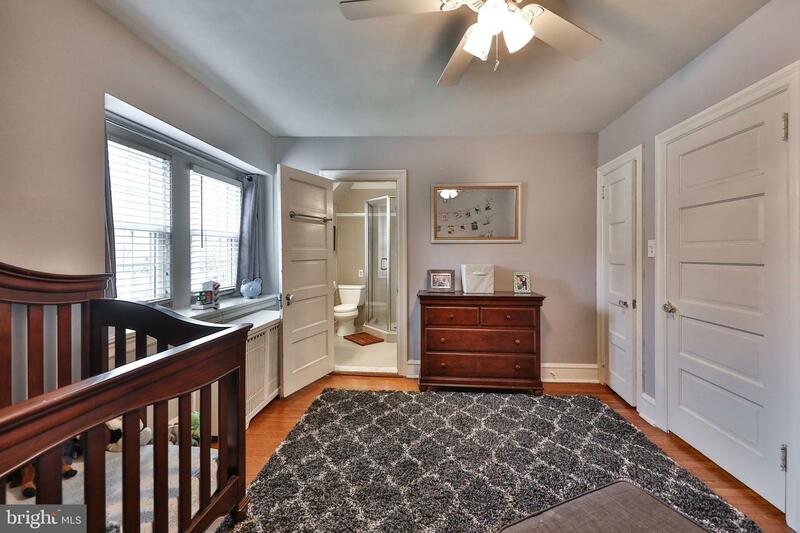 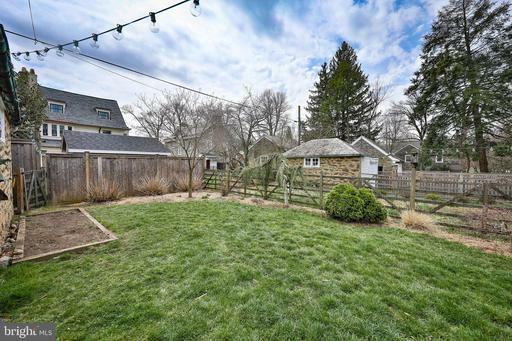 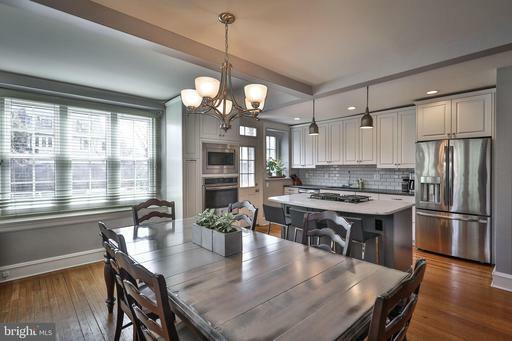 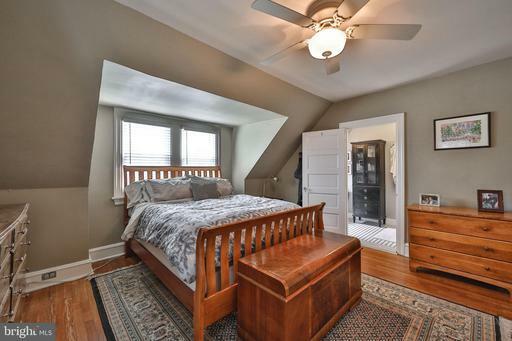 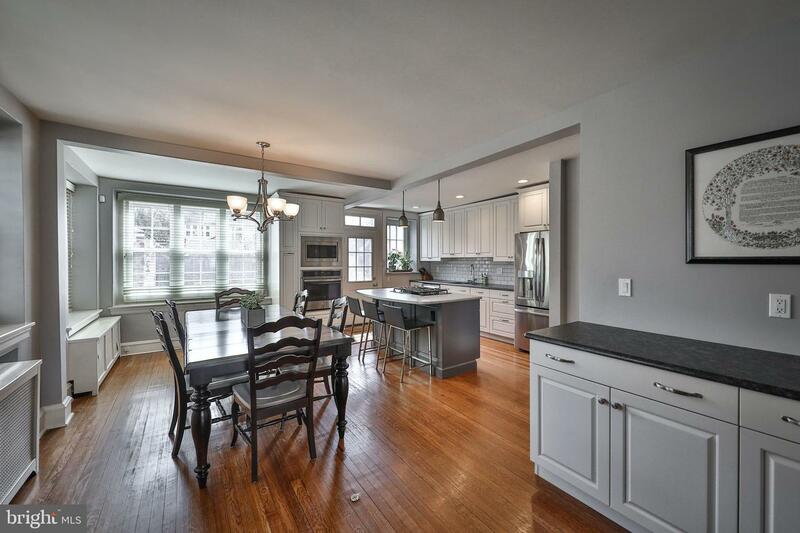 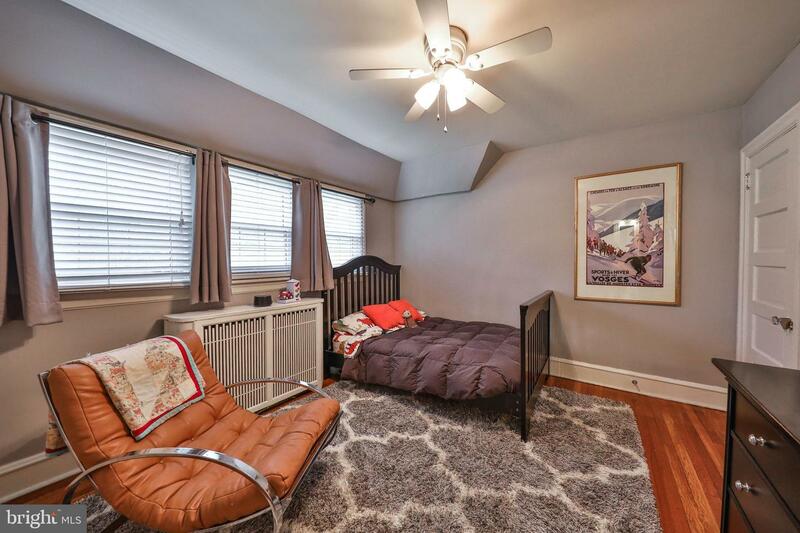 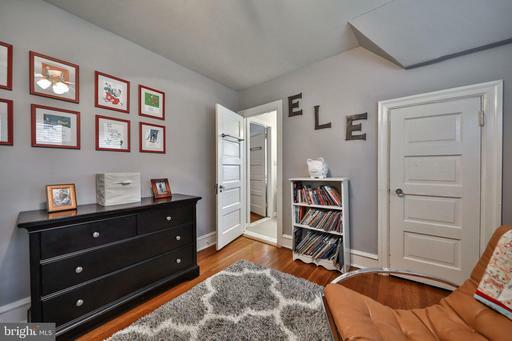 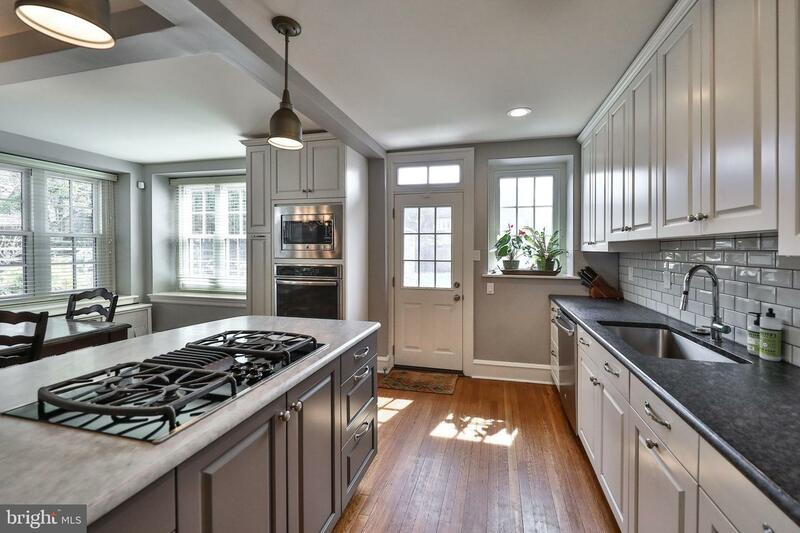 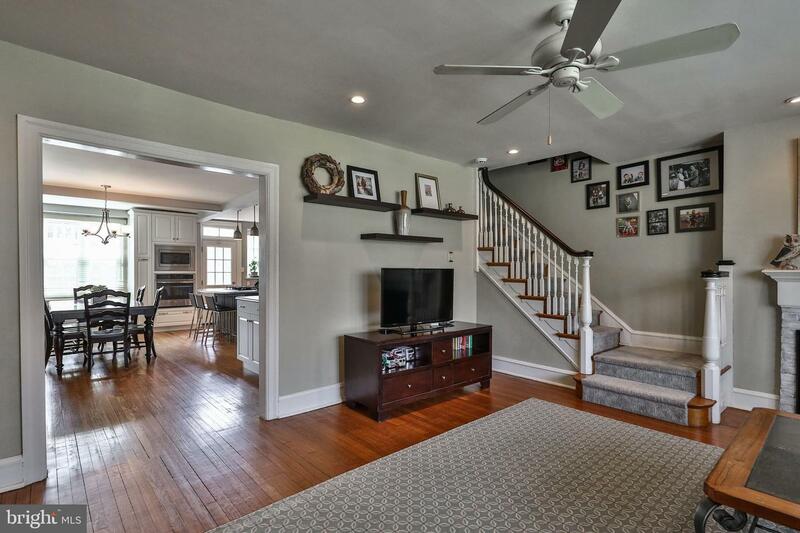 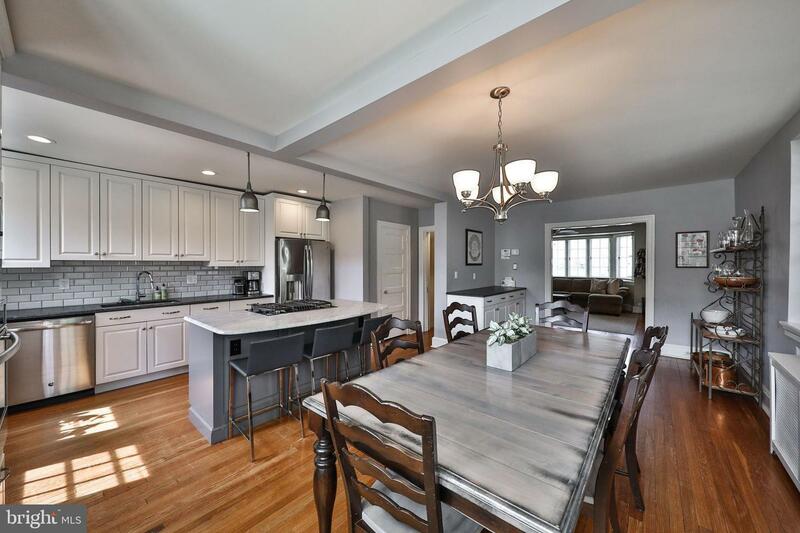 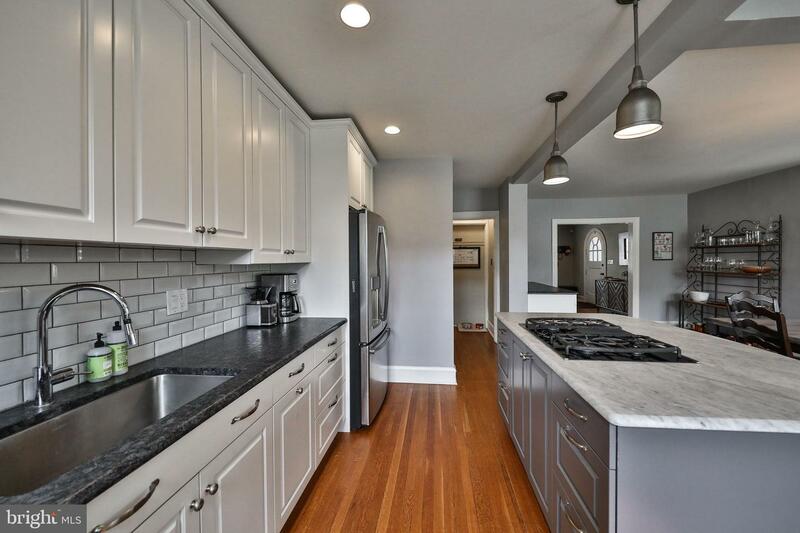 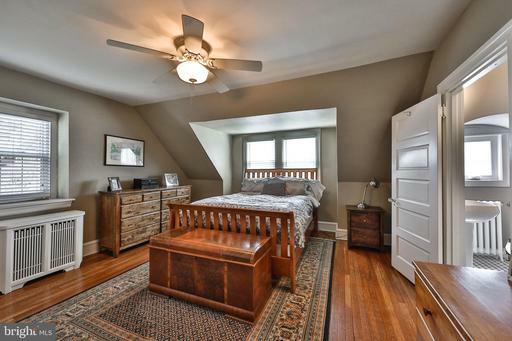 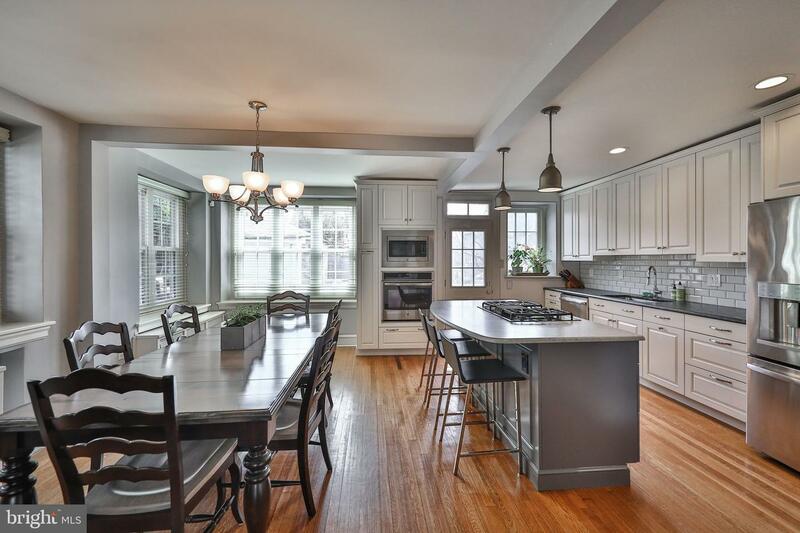 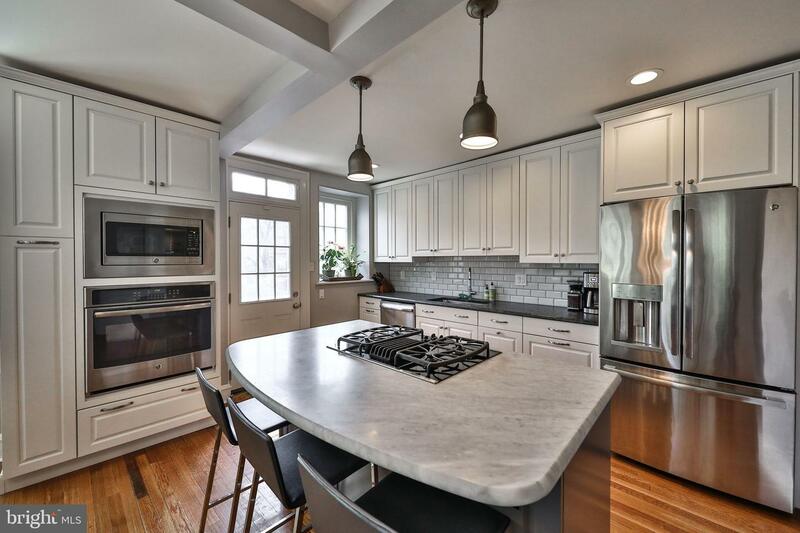 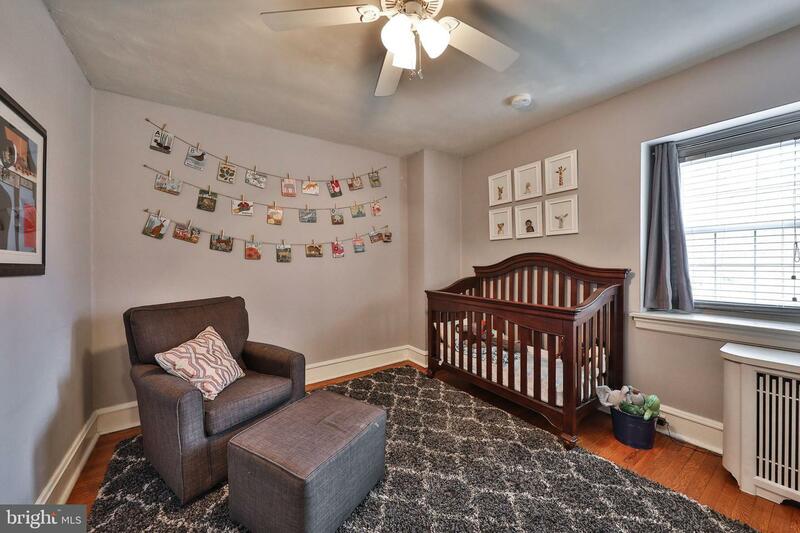 Everything today's buyers want is waiting at this spacious, updated c. 1920 twin in a sought after East Falls residential neighborhood just a stone's throw from McMichael Park. 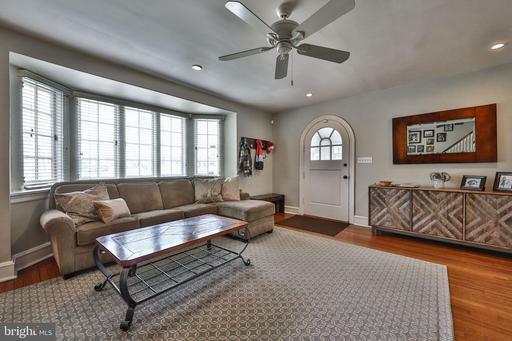 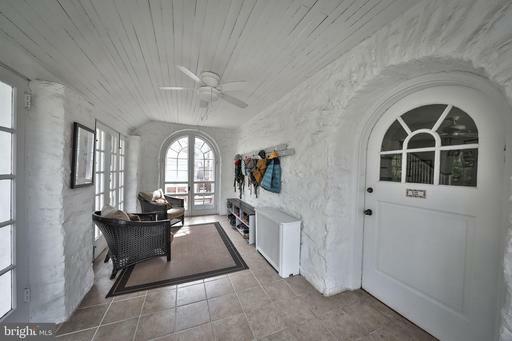 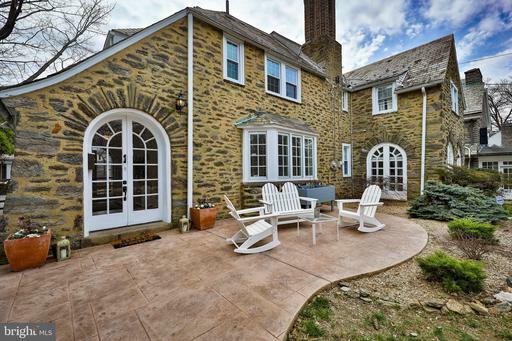 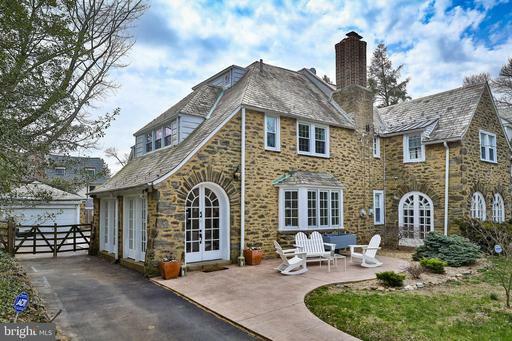 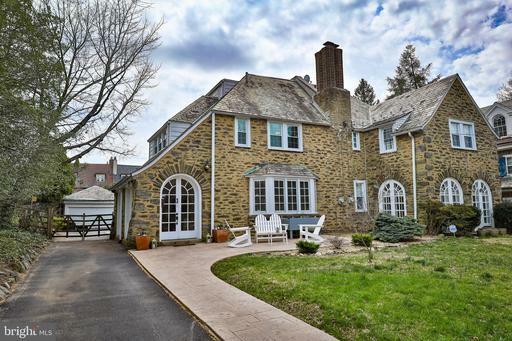 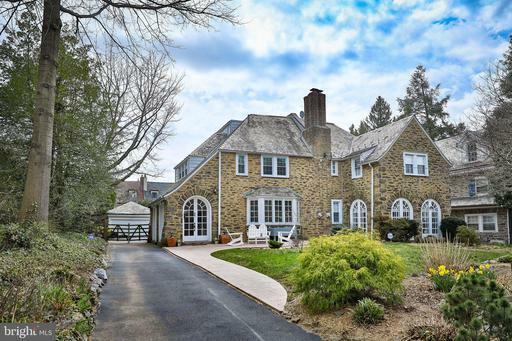 Buyers will love the home's original architecture and full stone construction, its deep window sills, graceful curved French doors, hardwood floors, brick fireplace and other period features. 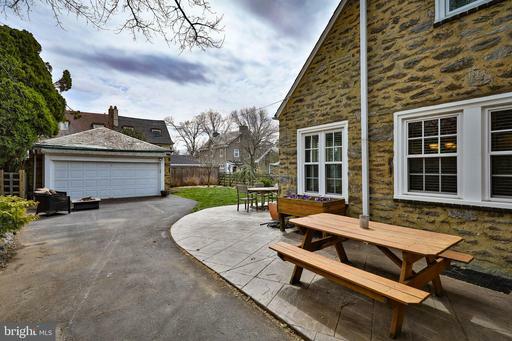 Against this background the home has been beautifully updated with all new windows, a gorgeous new combined kitchen/dining room, three new bathrooms, greatly improved basement with freshly waterproofed walls, upgraded electric, the installation of exterior patios and hardscaping in both the front and the rear of the property. Several rooms were opened up to create the stunning kitchen with its marble counters, center island, abundant cabinetry, high end stainless appliances and pendent lighting. The spacious dining area adjoins and numerous windows let in tons of light. 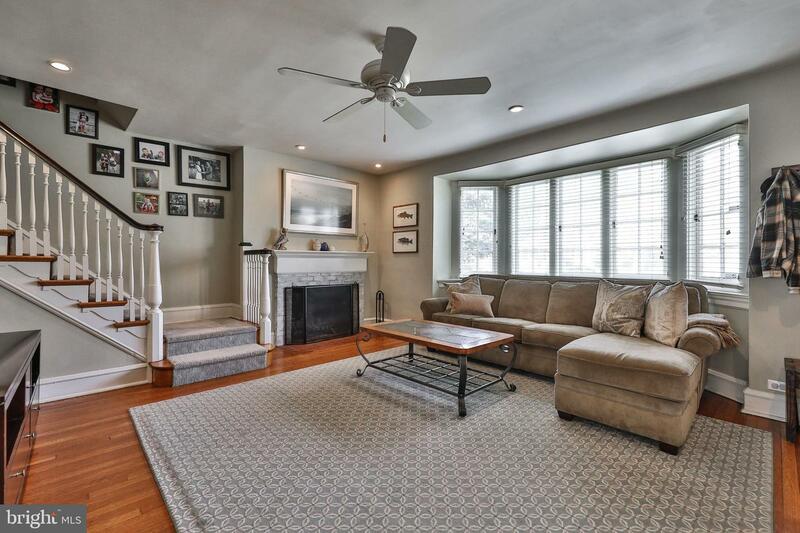 The living room is roomy and gracious with its fireplace, bay windows and opens to the heated front solarium. 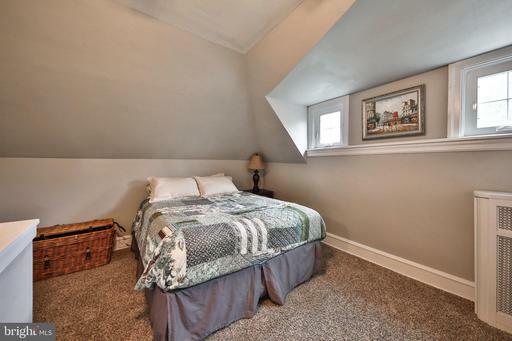 The four bedrooms upstairs are all a good size. 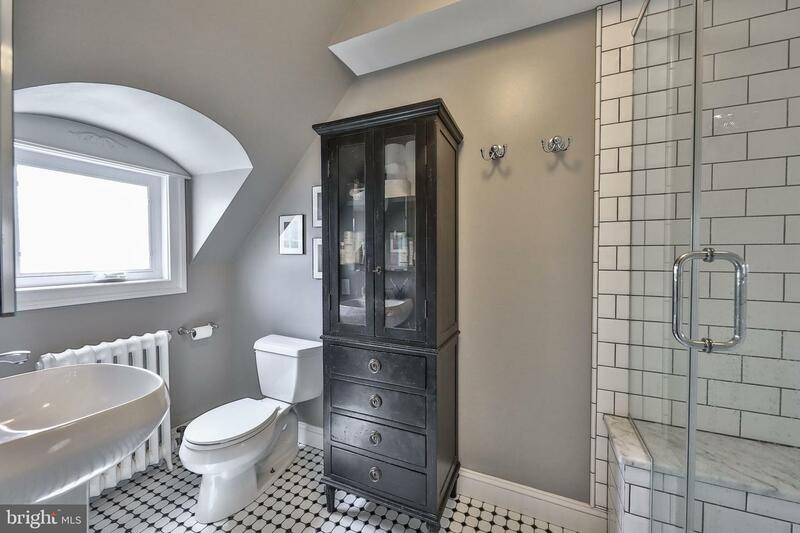 Three are on the 2nd floor. 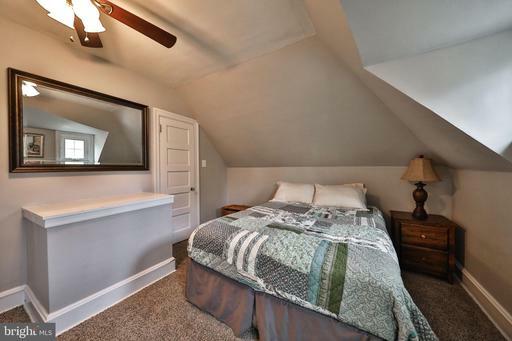 The main bedroom features new well organized closets and the adjoining main bathroom. 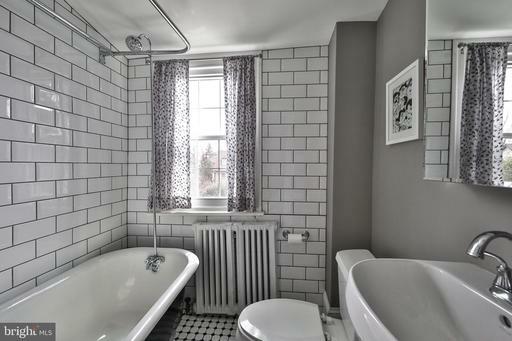 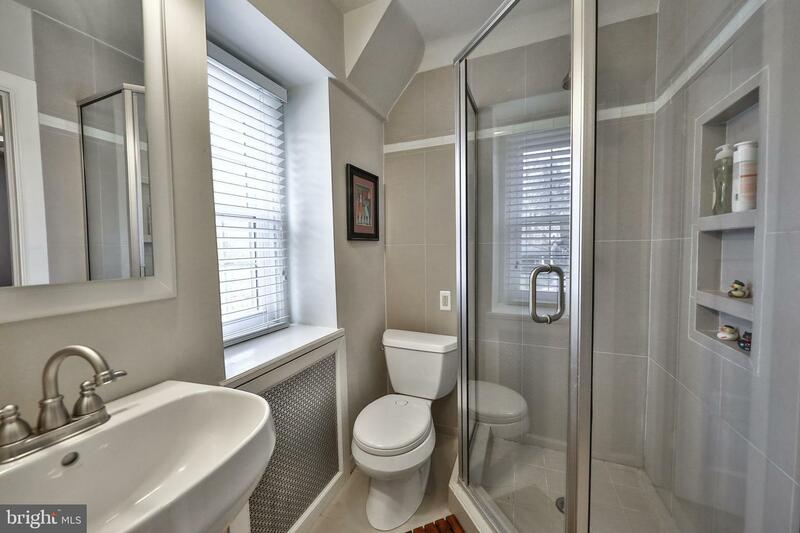 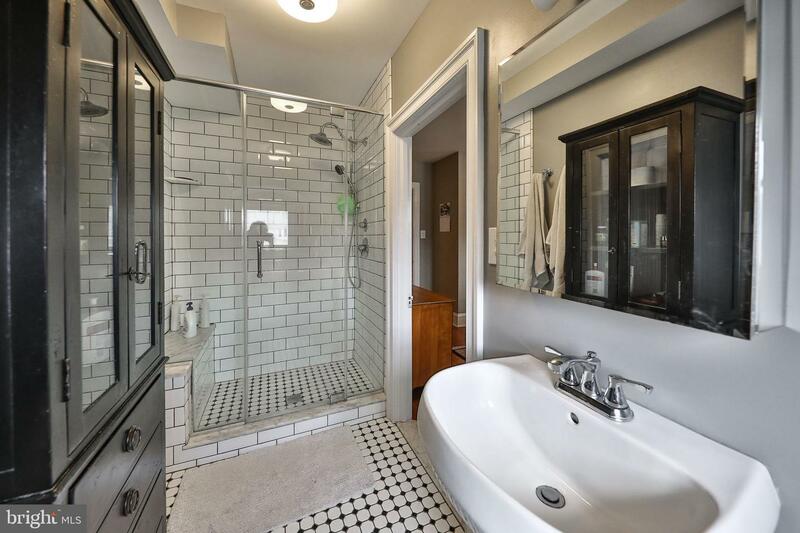 A Jack and Jill bathroom connects the other two bedrooms. The 3rd floor includes a bedroom, a charming bonus room useful as an office or computer room plus a full bathroom. 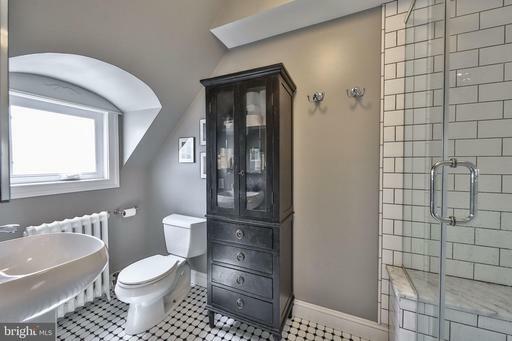 Decor throughout is crisp and tasteful. 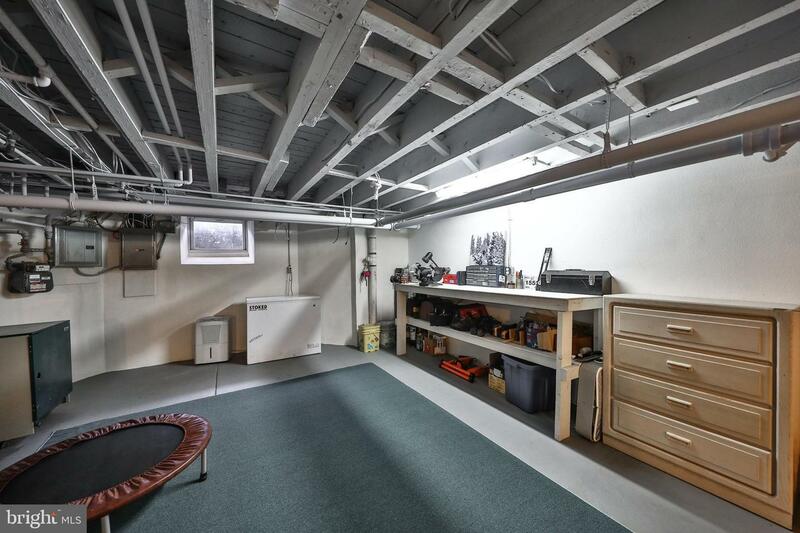 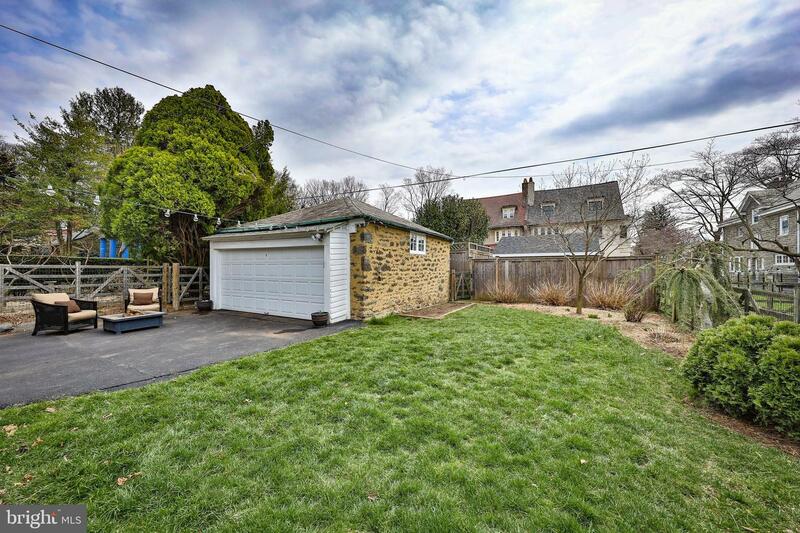 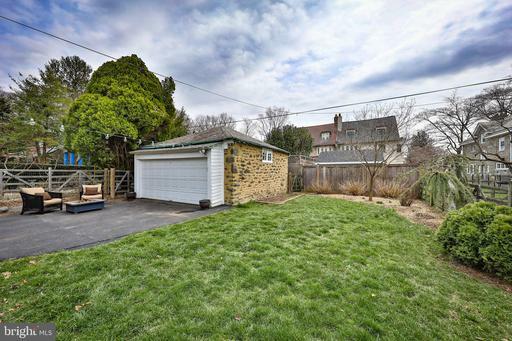 There is a detached oversized one car garage and lovely front and rear yards. 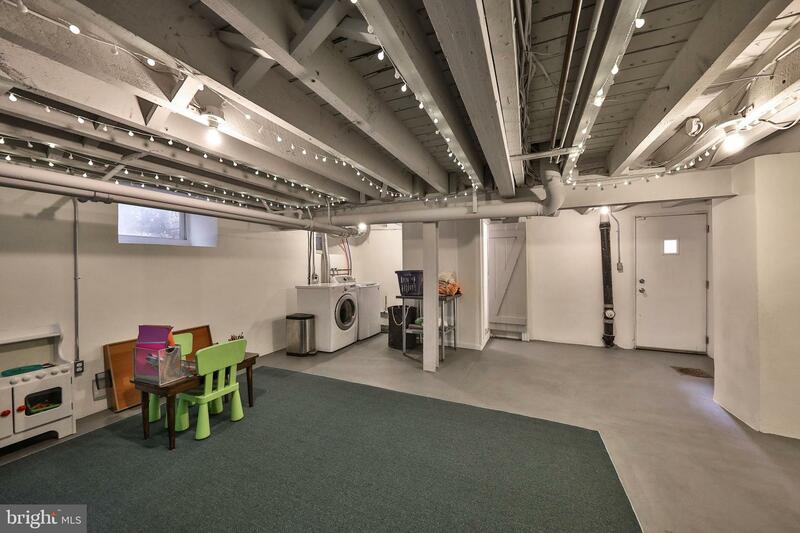 Conveniently located, 3126 W Coulter St is close to two train lines, the expressway and beautiful Kelly Drive. 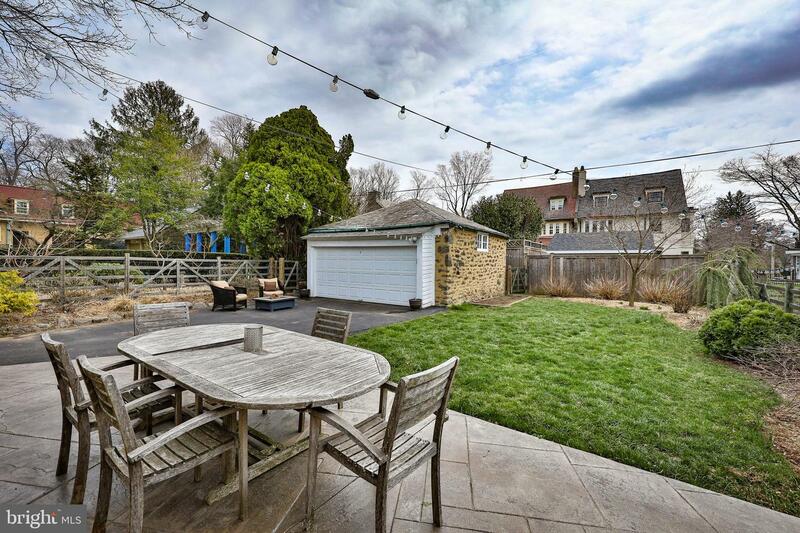 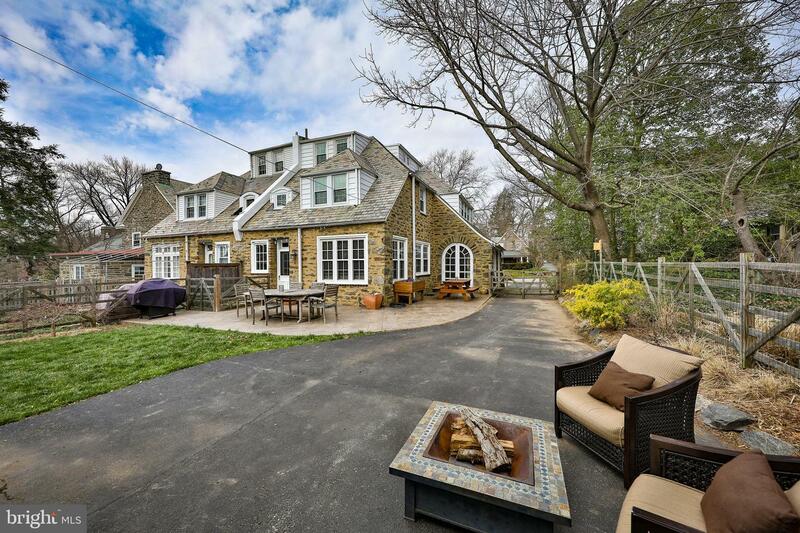 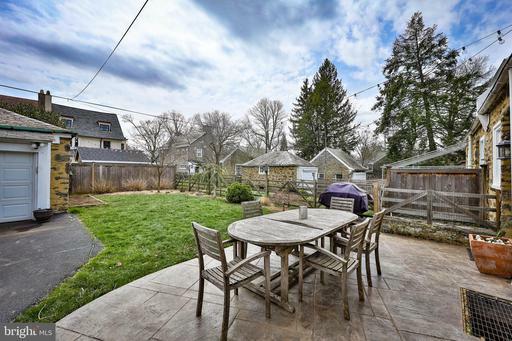 Penn Charter is just up the block and it is only 15 minutes to center city. This is a must see!